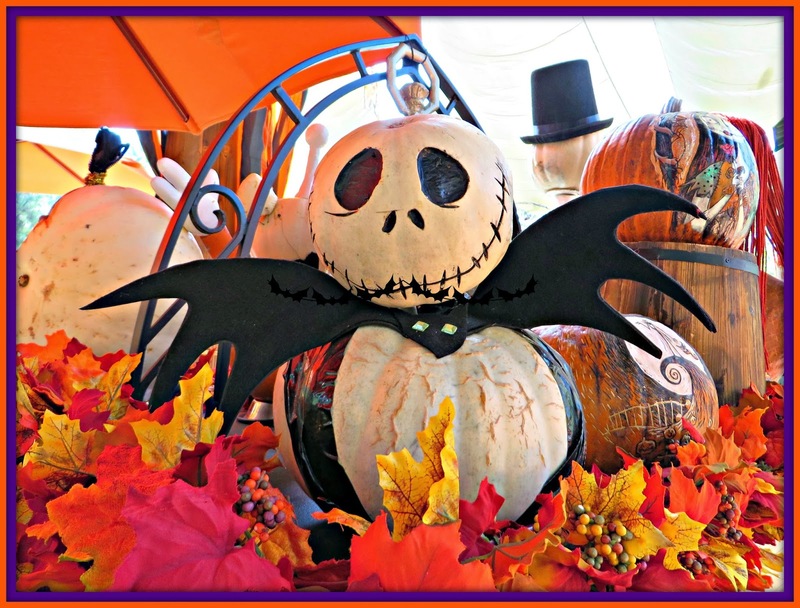 Disney Girl: Halloween Is On Its Way! Halloween is on my mind. It is less than a week away! Halloween kicks off the holiday season. A season which I LOVE! Recently I spent some time at the Happiest Place On Earth! Disney ALWAYS gets it right when it comes to decorations and Fall at the Park is no exception! 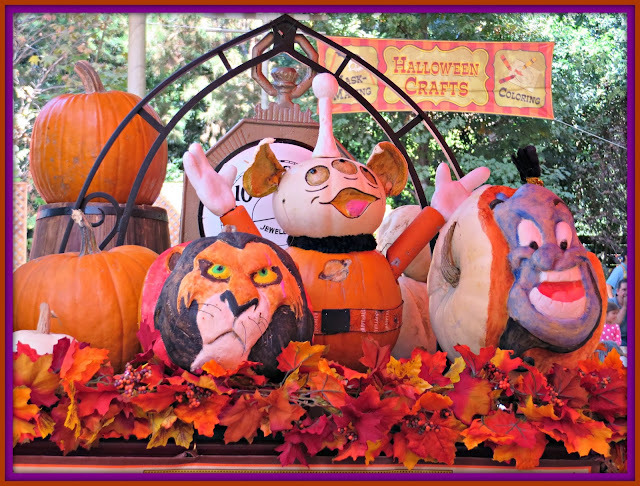 Get ready for lots of Disney Halloween pictures over the next few days as I count down to Halloween! Here we go with some AMAZING looking pumpkins! Jack-O-Lantern look? As a kid I loved carving pumpkins. We always roasted the seeds and ate them As an adult, living in the desert, I am lucky to even get a pumpkin. They are available but due to the heat they usually don't last too long (even in the house). I hope you enjoyed these Disney pumpkins! Thanks so much for stopping by! Have a magical Day! 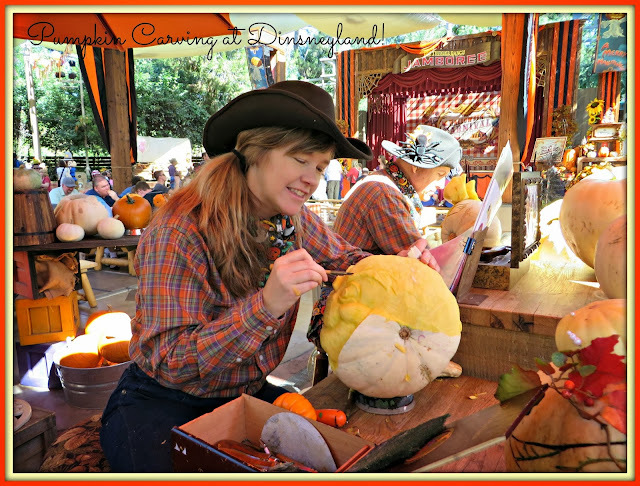 That's really neat that they were carving character pumpkins right there! I'm more of a traditionalist, but we've done some semi-fancy carving with our pumpkin kits. I can't wait to see some more Disney fall pics. Some day we'll go for the fall decor! Those are some really cool pumpkins. I've never carved one before, although I've been meaning to for the past five years! Hopefully, I'll actually get to do it one year. It looks really fun. Wow, these pumpkins are sooooo cool! So jealous!!!! !